Flying cant sleep, what to do what to do. Oh no she's a sleep by now its too late. I hate nights like this, half of the city is sleeping and me always have to be up thinking. O yea yea yea, maybe i should stop by at luthor's hideouts he'll sure keep me busy, ggzz talk about politics give me a break. Talk and talk and talk and talk this guy dont really know when to put a period at the end. Wants to run the world but bad speech impediment in public lol what a irony. A bald headed president on screen TV, like foreal my man the reflection of the sun on your head is too much to even look at even with my eyes. Maybe i should use him as my solar energy charger, hmm i think i like it. yea that would def save more time going to the sun. Wow then hit the wall and fell. I swear my eyes be looking at the wrong things. Aww man i guess being old doesnt stop the urge. Ive seen enough for tonight im flying up higher this is too much, what people do seems to amaze me till this day. Awww there you go, the moon is big tonight. Wish i could of showed Louis but no she just had to go to sleep. I hate this man, why this lonelyness always has to follow me? Woman swear they love me but when i choose to go on a date they seems to be shy. Im begging you beautiful just look at me once and tell me you love me. Sigghh who am i kidding, im weird as hell. i always act weird in person, wish i could find a way to focus on one person instead of paying attention to everyone else. Louis im glad you in my life, how do you deal with me. Why are you not scared of me like them other people. Why are you with me? i dont deserve this. You showed me compassion and a friendship i've never had before. What would i do if your gone. I've been lonely all my life untill you came. lol I sound selfish, Grandma always brings me fresh milk from the farm and baked homemade chocolate cookies. Wait maybe i should stop by and bother her, hmm nah i let the ol girl have her sleep. Hmm what's this?, they still didnt fix the Brooklyn bridge it been Two years now since I encountered Doombsday. Gives me chill just thinking about it. The best opponent i faced and almost lost too. 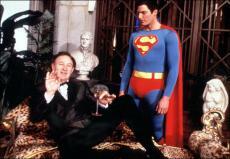 Superman: came to check on you Luthor, hope we dont have to do it the hardway. Luthor: Hardway? oh no superman here is just me and my lady just relaxing on a nice evening like this one. Luthor: lets cut to the chase Superman, what do you really want? Luthor: Im sure you came here in the middle of the Ocean for a reason. Luthor: wait perhaps you finally wants to go through with it after all. Luthor: Huh superman, you want to kill me so bad right now dont you? Luthor: can you really do it superman? © Copyright 2019 james rinvil. All rights reserved. This page was created in 0.5024 seconds.